For organizations today, the most challenging part of growing leaders is developing their inner game so they will thrive in highly competitive and uncertain futures. Leaders today are under pressure to respond well to rapidly changing demands that were unknown in previous quarters. Almost all businesses we consult with here at Turnkey Coaching Solutions know there’s an imperative to train more and better leaders. That need is universal across all industries and countries. This is because effective leadership is highly correlated with business results. While there is this urgent need for better leaders, training and development programs fall short. How can organizations develop leadership competencies to meet global challenges full of volatility, uncertainty, complexities, and ambiguities? Up until now, HR, business schools, and executive coaches have focused training on traditional leadership strengths and skills. As such, they are proficient at growing leaders to be effective in the C-suite competencies: setting strategic direction; communicating an inspiring mission; understanding financial data; planning and coordinating resources; and ensuring that processes, systems and people achieve results. While leadership development efforts focus on these responsibilities, they’re ultimately insufficient. Great leaders develop beyond these external competencies because they address the inner game of leadership. What Is the Inner Game of Leadership? The inner game consists of character traits like honesty, passion, vision, risk-taking, compassion, courage, authenticity, collaboration, self-awareness, humility, intuition and wisdom. This list may seem like a tall order for training and development, but the inner game of leadership consists of the core values for authentic leadership. With a global environment of rapidly changing demands, leaders must continually grow character strengths that bolster their functional capacities to lead effectively. Yet in the higher positions of executive responsibilities, what matters most are those soft skills, such as emotional intelligence. In fact, emotional intelligence—the ability to, say, understand your effect on others and manage yourself accordingly—accounts for nearly 90 percent of what moves people up the ladder when IQ and technical skills are roughly similar. ~ Laura Wilcox, Harvard Division of Continuing Education. The “inner game” concept became popular 15 to 20 years ago. Sports coach and consultant Tim Gallwey coined the term in The Inner Game of Golf, The Inner Game of Tennis and The Inner Game of Work, and his ideas have proved to be timeless. What works well for developing top athletes also works well in leaders of organizations. According to this concept, the results that leaders produce in the outer world are driven by what goes on inside their heads. The mental models people create are based on each person’s experiences, which often turn out to be erroneous beliefs and fears. Since people don’t know what they don’t know, it’s hard for anyone to think beyond the boundaries of one’s current realities. However, when a leader learns to challenge and change their thinking, they expand and improve their inner game thus they begin to modify behaviors and change the results they can achieve. A fear of failure, for example, interferes with the ability to take risks. But in today’s business world, waiting for certainty may mean missing the boat. When a leader avoids risk and plays it too safe, they fall victim to missed opportunities. Effective leaders weigh the risks and decide when to act, despite ambiguity and uncertainty. Their level of awareness allows them to gain better control over emotions so they can master both inner and outer worlds. Leaders cannot master fully the outer competencies of leadership without inner proficiencies. The inner game has more to do with character, courage and conviction than with skills. It’s an ability to act when situations are complex, volatile and ambiguous. This is the “right stuff” of leadership: wisdom, self-knowledge, social intelligence and solid grounding in personal values. In our work at Turnkey Solutions, our coaches find that the stuff of character is the hardest, yet most significant, aspect of leadership development. 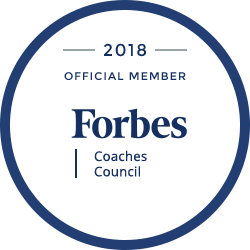 Professional leadership coaching is the most effective way to approach leadership development, coupled with robust assessments and feedback surveys. Even the most conservative estimates show a five to seven times return on investment from leadership coaching (Price Waterhouse, ICF study). But coaching success depends on the relationship between leader and coach. The coaching relationship must provide a secure environment to explore character strengths and beliefs. Whether applied to sports or work, the inner game is where we begin to understand ourselves and make key changes. The concept is neither new nor particularly revolutionary, but based on a profound concept: focusing attention without judgment. When leaders learn to observe behavior (their own and others’) without criticism, they start to see where change is possible. Removing judgment facilitates change. This is a key development issue our coaches facilitate with our leader clients. It is also one of the hardest behavioral changes to sustain. It goes against our human tendencies to make snap decisions. It requires intense coaching to achieve real change. Communication skills, like listening and observing, are automatic and unconscious. Everyone knows how to do them. Yet, in our experience, leaders don’t always listen and observe well, without judgment—a requirement for achieving desirable outcomes from conversations. Leaders experience ineffective conversations all the time. When people don’t respond to their suggestions as delivered, they’re repeated louder or with different words. The outcome is resistance. We find that few people enjoy being told what to do, especially when a leader comes across as critical or judgmental. As a leader with authority, it is easy to be perceived as controlling and dictatorial. It doesn’t matter how well intentioned a leader may be. First, nonjudgmental awareness is curative, allowing you to trust yourself and others. Awareness sets up the conditions for primary learning choices. Leaders who need people to act, should try to communicate their message nonjudgmentally, showing trust in others, and letting people choose what needs to be done to accomplish desired results. What distinguishes great leaders from their mediocre colleagues? Leaders with a growth mindset use every challenge as a learning goal. Effective leaders set an inner mindset to learn from every challenge. Some leaders focus almost exclusively on performance. Others emphasize growth and learning, as well as results. If we compare these two efforts, there is a clear advantage for the leader who defines and strives for both learning and performance goals. In our coaching work with clients [link to coaching page], such performance-driven leaders focus exclusively on the outer game. They judge their worth by whether they’ve achieved these goals, and they hold their people to the same standards. Unfortunately, these leaders are likely missing key factors that restrict their potential: a growth mindset and the ability to set and pursue learning goals for themselves and others. Performance goals are, of course, necessary for achieving bottom-line results. But keep in mind that the bar is constantly being raised. Without continually improving capabilities, one is unable to keep up. Learning goals represent the inner game you must work on to prevent stagnation. Wise leaders who want to adapt to rapidly shifting demands of business continually work with an executive coach, to grow their inner game. They know they need to stay ahead of the curve. The inner game of leadership is as important as mastering outer competencies, if not more. Character strengths are key to any leader who wants to lead well. As such, to thrive, leaders should set both performance and learning goals. Every learning goal contributes to future performance. In a performance-driven culture, achievement is sometimes overestimated at the expense of learning. In our experience working with many executives, we at Turnkey Coaching Solutions understand it’s not easy for leaders to set learning goals, as a bit of humility is necessary. Leaders must acknowledge the need to learn and grow and clarify which goals have the most leverage. It can be potentially difficult to identify where and how learning will take place. Obviously, work itself provides the best laboratory. Collaboration with others is also needed. What do I need to learn to enhance my performance? Set learning goals with a coach [link to coaching services page] to achieve clarity and develop an action plan. After implementing an action plan, debrief the learning experience with your coach to maximize change. Learning and performance goals will prepare you for the future’s increasing demands.